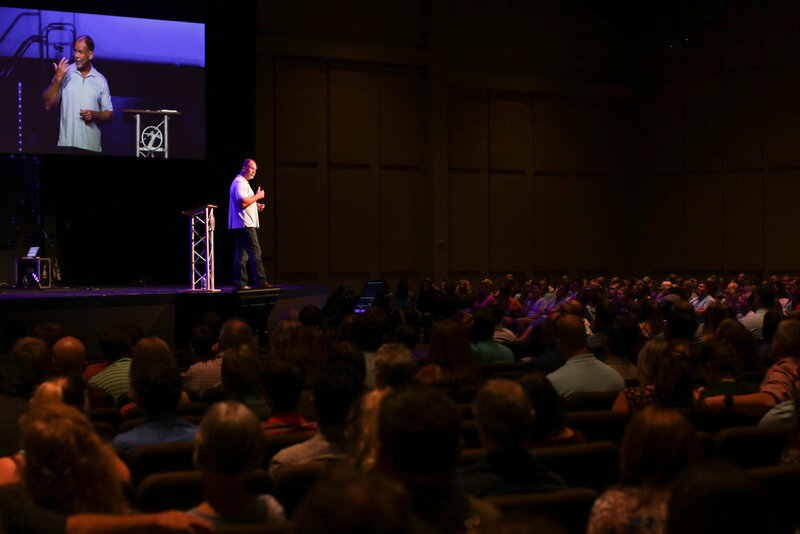 Saturday Night Church (SNC) is a great way to connect to a weekend service when Sundays just do not work with your schedule. We get it - Sundays can be very busy! SNC allows you to be a part of a fulfilling weekly worship experience and still meet your Sunday demands. Wear what makes you comfortable! Most attenders on Saturday nights wear casual clothes such as jeans and t-shirts. Try to arrive by 6:30PM on your first visit. That way, you have plenty of time to park, visit our First Time Here table, and stop by our coffee shop before service begins. Volunteers and staff will be in the lobby to assist you! Parking is available near the main entrance on your left as you enter the parking lot. Feel free to choose one of our guest spaces. If you have children, you may want to park near our Crossroads Kids entrance located in the lower lot (entrance on lower level). Where do I go for kids’ check-in? 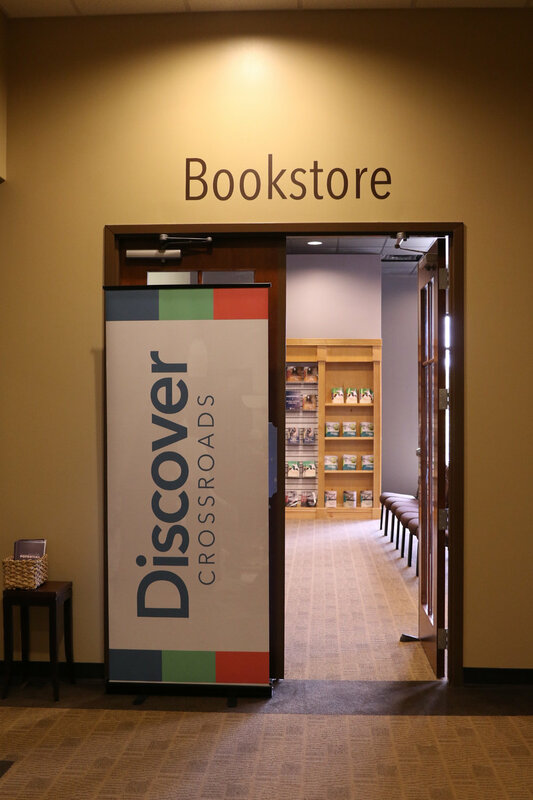 Our Crossroads Kids entrance is located in the lower section of the building. When entering the campus, please use the right lane and take a right in front of the building. Follow the sign to the entrance. Volunteers and staff will be happy to assist you in registering your child and getting him/her settled in the appropriate room. For more information on Crossroads Kids, click HERE. Saturday Night Church is a relaxed environment. However, you will hear the same music and message presented on Sunday morning. 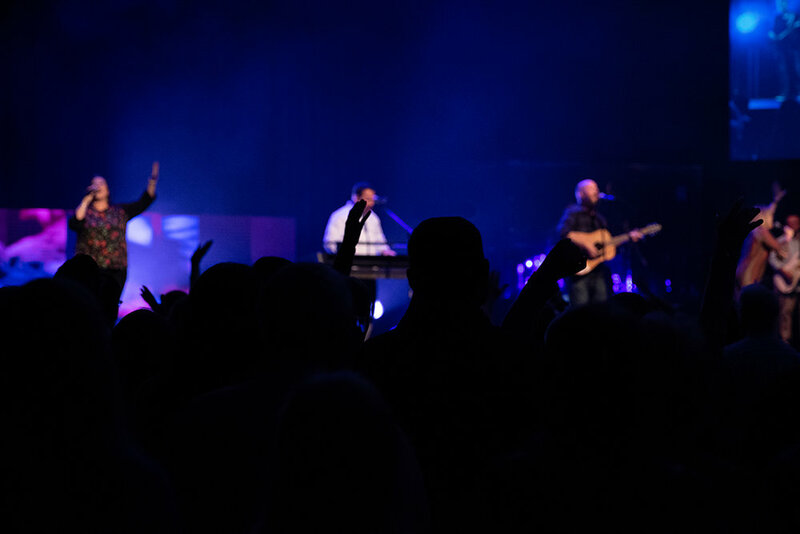 You’ll experience a full worship service just like you would expect on a Sunday.